With both the Tour de France and the Giro d’Italia set to start outside of their own borders next year it seems like a good time to have a look at this increasingly regular phenomenon. In 2014 the Giro will spend three days in Ireland during May, visiting both Belfast and Dublin, before Le Tour comes to Yorkshire, Cambridge and London in July. Whilst the Vuelta tends to be much more of an insular affair – having only started outside of Spain twice in it’s 60 year history – a fifth of all the Giro starts since it’s first foray to San Marino in 1965 have been foreign affairs. The Tour is an even more international event with over 20 foreign starts dating back as early as 1954 in Amsterdam. This began a sequence of around three Tours each decade commencing in foreign parts up until the Millennium. After that they increased again and Tour De France race director Christian Prudhomme clearly stated his aims in 2007 when he said that 3 out of every 5 Tours should begin abroad. Talk during the Armstrong era of a start on American soil may have failed to materialise because of the very real logistical issues of transferring the entire race and it’s vast entourage across 5 time zones of Atlantic Ocean but the appetite to take the Tour ‘on tour’ is self evident. As with nearly everything connected with the pro-cycling world, commercial interests are the primary reason for these excursions beyond the host country. Bids for the starts are even more fiercely contested than the rest of the stages and are hugely lucrative for both the organisers and the foreign hosts. Denmark paid an estimated $3.86m for the Giro start in 2012 but would have been counting on recouping up to seven times that amount in terms of an economic uplift as a result of the event coming to their country. As with everything else connected with the Grand Boucle, even these sums pale into relative insignificance when compared to the Tour de France’s Grand Departs. 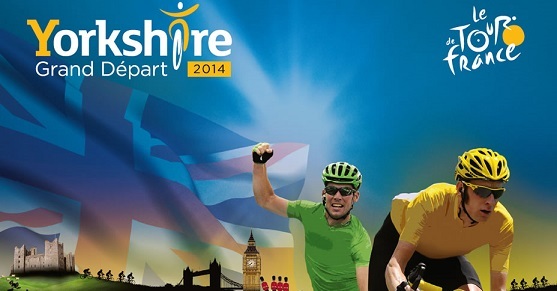 The team behind the Yorkshire bid are somewhat coy about how much they bid for the right to host cycling’s premier event but are estimating that the region could benefit to the tune of £100m for just two days of racing in the county. The UCI, as usual, have had their say on the subject and, also as usual, have added some rules to try and keep a lid on things. Whilst the Tour and Giro organisers know that the teams will pretty much have to bend to their will, the governing body can take a harder line in weighing up the pros and cons of spreading the crown jewels far and wide. They have rightfully clear desires about limiting the distances that might need to be covered from the location of the foreign start back to the host country in order to continue racing the following day. The logistical requirements on the teams can be stretched enormously at these times, and elongated transfers adversely affect both the riders and the racing. The UCI therefore decreed that the first rest day in a Grand Tour, when longer transfers could most easily take place, cannot take place until five days in. This effectively means that unless a third of the entire race is held abroad – something the Tour and the Giro would never countenance – any foreign start must at least finish in a place contiguous to the host country. This has confined the jolly holidays to the closer parts of mainland continental Europe (Belgium, Holland & Germany) for a number of years with only rare forays towards exotically distant lands such as Denmark (!) and England (!) deemed feasible. Even then the race had to finish near Dover so that the race continue on French soil the following day with only a short transfer. This could all be set to change though. For the Giro’s jaunt to Ireland next May, which will require a full day of travel back to Italy after three days of racing, the need for a Friday start and a third rest day has been granted special dispensation. With this precedent now in place it seems likely that more distant starts will be eyed up by all three Grand Tours in the future. Similarly the recent start of this years Tour of Poland in Italy shows that the second tier events on the World Tour are now eyeing up the benefits of forays abroad and that the pattern looks set to expand at that level as well. Some of the foreign starts have been more memorable than others. The sheer amount of starts in The Netherlands and Belgium – plus all the excellent racing they have in their own right anyway each year – has tended to dilute the spectacle and dull the memory. The Tour’s 1987 visit behind the Iron Curtain to West Berlin (This episode of Channel 4’s coverage is well worth the time) was a successful exercise in leveraging a politically charged backdrop to add extra frisson to the racing and as such it is far more memorable than more recent visits to Luxembourg or Spain. The Tour’s visit to Dublin in 1998 is largely remembered because of the Festina scandal which unfolded enroute to it – though apparently the race director of the time Jean-Marie Le Blanc did what he could to keep a lid on things until the Tour reached home turf a few days later. 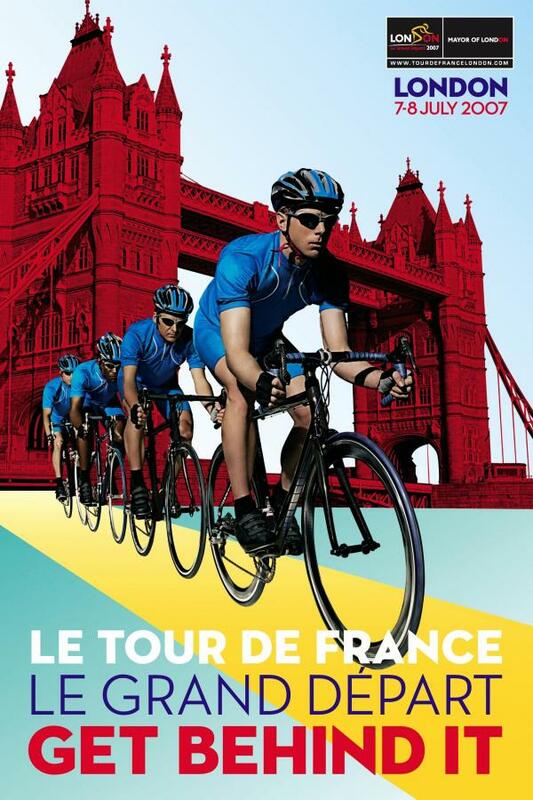 Widely recognised as one of the most successful of the foreign starts, London’s 2007 Grand Depart is particularly memorable for us Brits simply because it was in our country. But because we don’t have loads of road racing to export anyway; no mass starts, road closures, police outriders and vast publicity caravans, the excitement engendered by the location was also felt across The Channel in equal measure. It was new and exciting for the French too. They had probably never seen anything like it either! This fact is clearly evidenced by the organiser’s determination to return here as soon as possible. And since we were talking of commercial interests earlier, it should be noted that the 2007 visit can be seen as a direct catalyst for Britain’s most recent burgeoning love affair with road cycling – an industry now worth billions of pounds annually. Somewhat inevitably, Qatar have inquired about hosting a Tour start and Dubai are courting the Giro but given the well documented concerns with holding major sporting events there in the summer heat even with extra rest days it is hard to see this happening. Unless of course they are planning on holding entire stages which continuously circle a 400m running track inside all those air conditioned football stadiums they are busily building for the World Cup in 2022. Or they could just get the entire event moved to the Spring instead.. Stranger things have happened but – thankfully – they seem to be confined to football. All this talk of exotic starts is fine but it is the places that the Grand Tours return to that defines our understanding and memory of them. We remember the Stelvio, Ventoux, La Plagne – not Canterbury, or Stuttgart. Much has been made this year of the Giro’s lack of a tradition-making ‘Champs Elysee’ finish and, in similar fashion, the Grand Departs suffer from their individual differences as much as they gain from it. They come and they go. The ingrained familiarity of the 21 corners of Alpe d’Huez or the descent into Gap are infinitely richer and more powerful than even the grandest Grand Depart. Done well – such as Berlin in 1987 when the Brandenburg Gate was used a hugely symbolic backdrop – they can linger in the memory but nothing will be won here. It’s possible to lose a Tour in a foreign Prologue – as Pedro Delgado in Luxembourg will readily attest – but they are, on the whole an appetiser before the main courses ahead. A bit of fancy before the meat. The real drama, and the real stage on which it will play out, lies ahead, back home. This entry was posted in Giro dItalia, La Vuelta, Le Tour de France and tagged berlin, Christian Prudhomme, Cycling, France, Giro, giro d'Italia, grand depart, Grand Tour, Ireland, London, procycling, Tour de France, yorkshire. Bookmark the permalink.